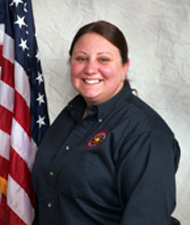 Countryside Fire began creating its own dispatch center in July 2005. 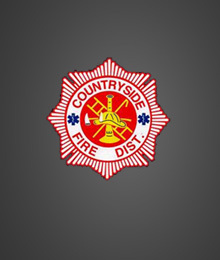 After much hard work and planning, Countryside began providing its own dispatch services on February 27, 2006, initially based out of its headquarters station in Vernon Hills and later moving to a new, custom-designed center located inside Station 1 on Midlothian Road. 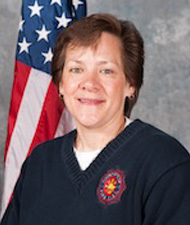 In September 2010, through an intergovernmental agreement between the District and the Village of Vernon Hills, Countryside relocated its dispatch operations co-locating in the Vernon Hills Police Department Communications Center. The arrangement provides the opportunity for police and fire dispatchers to provide backup support to each other. Calls for service within the District average ten per day with the majority of calls being medical in nature. In addition to dispatch responsibilities, the telecommunicators also enter reports into the District’s records management system (Firehouse), handle other data processing duties such as alarms, and answer non-emergency calls during non-business hours. Currently three full-time telecommunicators are Certified Training Officers (CTOs). Each new telecommunicator goes through 10-12 weeks of training with a CTO before being cleared to work the desk. This timeframe is approximate and can change based on the new telecommunicator’s experience. This training includes but is not limited to: computer technology (CAD, alarm, weather, EmNet, Outlook, and several closed-circuit camera systems), district familiarization and response areas, shift responsibilities, equipment location/orientation, MABAS information, and automatic and mutual aid responses to other jurisdictions. Every telecommunicator is Emergency Medical Dispatch (EMD) certified by the National Academy of Emergency Dispatch. This course requires the telecommunicator to complete a three-day class, pass a written exam, be certified in CPR, complete twelve hours of continuing education annually, and recertify with a test every two years. Eight hours of the continuing education is provided each year by our resource hospital, Advocate Condell Medical Center. Other CE hours are garnered by bi-monthly communication meetings, attending outside training courses taught by APCO, Powerphone, Public Safety Training Consultants, and various other training organizations. This EMD training allows the telecommunicator to be the true “first” responder in that they can give post-dispatch and pre-arrival instructions to assist in medical emergencies before help arrives. These instructions may include CPR guidance, assistance with choking and childbirth, and a variety of other medical issues. We ask that you be patient when you call in such cases and answer the questions that the telecommunicator is asking you. Remember that they are only trying to help you!